Earlier this week The Mayor and Mayoress of Great Yarmouth performed a traditional topping out ceremony at St George's Chapel, Great Yarmouth, by pouring a bottle of beer over the foot of the weathervane. 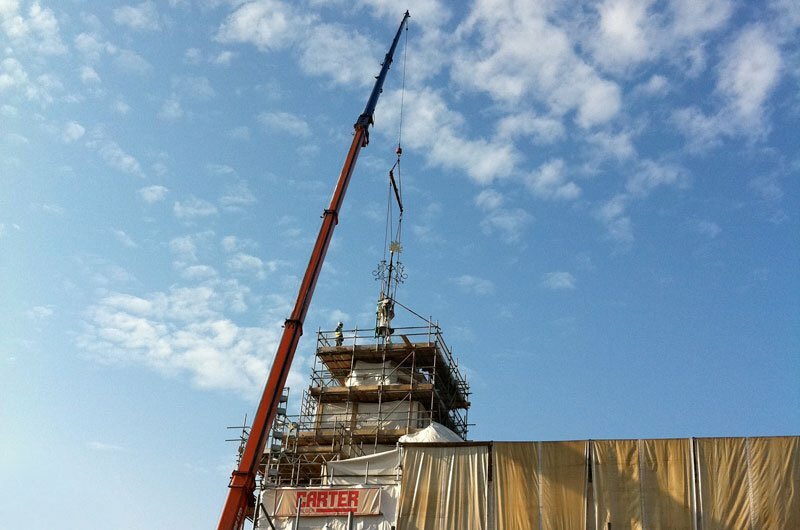 The weathervane was raised into position and lead work completed on the cupola marking a significant point in the completion of the Chapel works. The restoration of the church into a theatre and community centre is a key project in revitalising King Street and the surrounding area and is due for completion later this year.